The Affordable Care Act, which you may know as “Obamacare,” continues as a national protector of you and your family’s health and finances. Here in Colorado, we’ve got our own health insurance marketplace, Connect for Health Colorado, where residents who buy their own health insurance can qualify for financial help to lower their monthly cost. If you are uninsured, now is the time to act! You can shop and buy your own health insurance during open enrollment that is only available until January 15th. 1 – Helps keep you healthy: All plans cover many preventive care services before you get sick (even if you haven’t met your deductible) – well visits, vaccinations, screenings for mental health, cancer, heart disease, cholesterol and diabetes, and more – at no additional cost to you. 2 – Protects you from debt: No one plans to get sick or hurt, but most people need medical care at some point. It’s hard to predict when and what type of care you will need, let alone how much it will cost. Fortunately, health insurance is designed to greatly reduce the burden of the costs when you receive care. Did you know the average cost of a 3-day hospital stay without health insurance is $30,000? Or that treating a broken leg can cost up to $7,500? Having health insurance can help protect you from high, unexpected costs like these. 3 – Helps you pay for care: Health insurance is designed to share costs with you. You may have to pay coinsurance or a copay as your share of the cost when you get a medical service, like a doctor’s visit, hospital outpatient visit, or a prescription. You may have to pay a deductible each plan year before your insurance company starts to pay for care you get. For example, let’s say you have a $2,500 deductible. You go to the emergency room and the total cost is $3,500. You pay the first $2,500 to cover the deductible, and then your insurance starts to pay its share. Once you’ve spent the out-of-pocket maximum, your insurance will pay 100% of your covered healthcare costs. 4 – There are many kinds of plans: While all health insurance plans are required by federal law to include the essential health benefits, your health insurance plan options vary significantly in the type of plan, size of their provider network, how they share costs with you, and the benefits they provide (outside of those required by law). You can easily compare plans based on what matters to you most using an online Quick Cost & Plan Finder tool. Take time to read the Summary of Benefits and Coverage (SBC) for each plan you are considering, so you understand how they share costs with you and to make sure the medical services you and your family use are covered. 5 – Staying in your plan network saves money: Health insurance plans contract with networks of hospitals, doctors, pharmacies, and health care providers to take care of people in the plan. Most plans will only pay when you get care from a provider in the plan’s network. If you go out-of-network, you will likely have to pay the full bill. 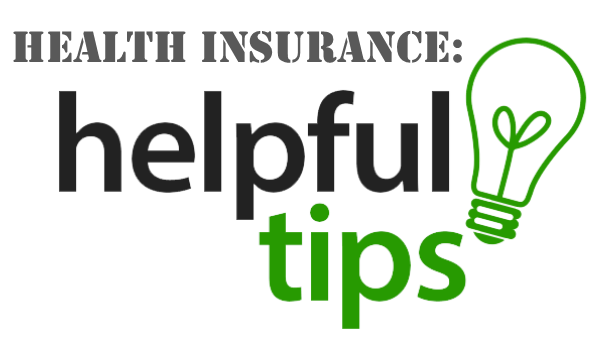 6 – Be aware of insurance-like products: Outside of the Connect for Health Colorado Marketplace, you may see products that look and sound like health insurance, but don’t give you the same protection as full health insurance. Some examples are policies that only cover certain diseases, policies that only cover you if you’re hurt in an accident or plans that offer you discounts on health services. There are also short-term plans that only last for six months. Rest assured that ALL plans sold through Connect for Health Colorado offer all of the benefits and protections of a Qualified Health Plan, including coverage for pre-existing conditions that is protected with CO law.